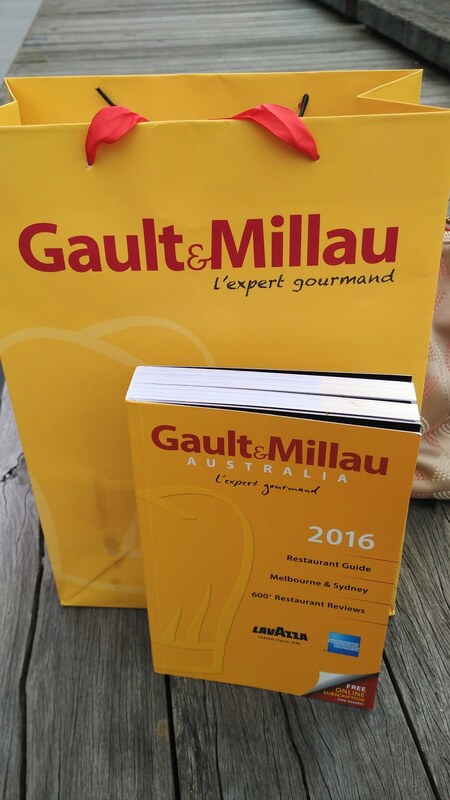 On Monday, I made a trip down to South Wharf to check out the Gault & Millau's Mise En Place trade show. Our show bags and directory. This event is not open to public, but only those who are registered, and in the hospitality trade. 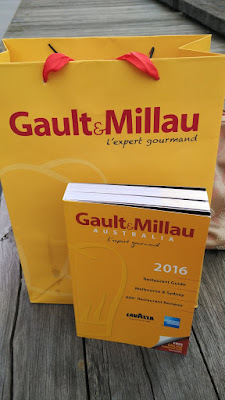 There were quite a number of hospitality suppliers, and food tasting from wine to cheese, sea salt, couverture chocolate, ice cream, seafood, sparkling water, gelatine types, and Electrolux kitchen supplies. I managed to attend Kirsten Tibball's dessert masterclass. 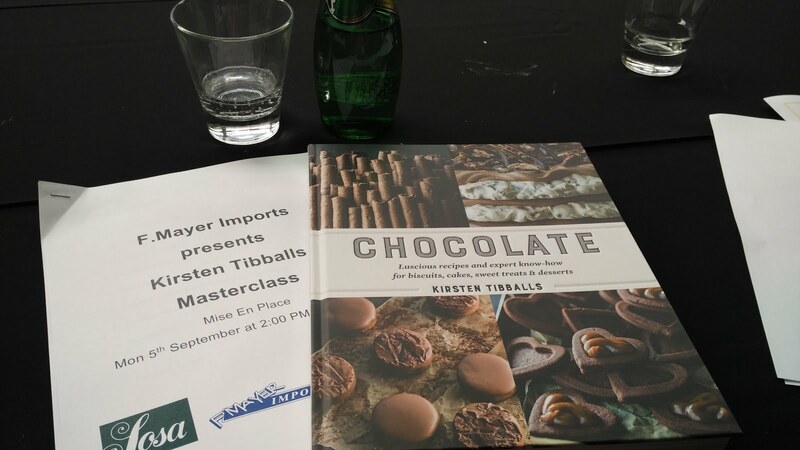 The participants of the masterclass also received a copy of Kirsten Tibball's Chocolate book, a $50 voucher for Savour products, and a one kilo of Cacao Barry Alto El Sol coverture chocolate. Cacao Barry is a partner with the infamous Callebaut brand and comes under the same umbrella to form the Barry Callebaut range of couverture chocolate. 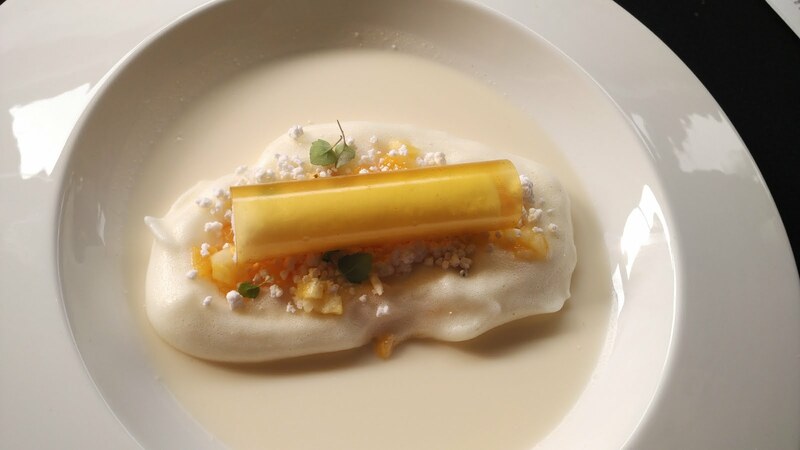 Kirsten Tibball's coconut panna cotta, pineapple foam, pineapple rocks, coconut sorbet, mango glass, passionfruit gel, and pineapple cremeux - showcasing ingredients from the SOSA and RaviFruit range. In all, it was a good experience at the trade show as I had the opportunity to taste test the ingredients, meet a diverse number of people in the trade, as well as strike up a conversation with a number of restaurateurs.